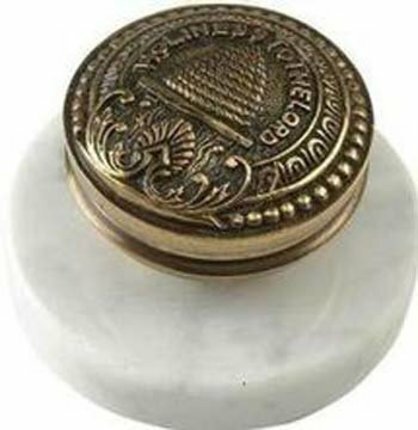 This marble-mounted doorknob is an actual size replica of the doorknobs found throughout the Salt Lake City Temple. 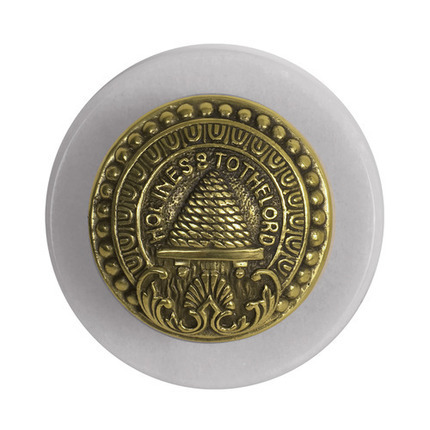 This brass paperweight makes for the perfect office accessory. The doorknob has the inscription, Holiness to the Lord. Received this as a gift when starting a new job. Visitors have commented on it positively and asked about its origins. Nice quality. Would recommend as a gift.